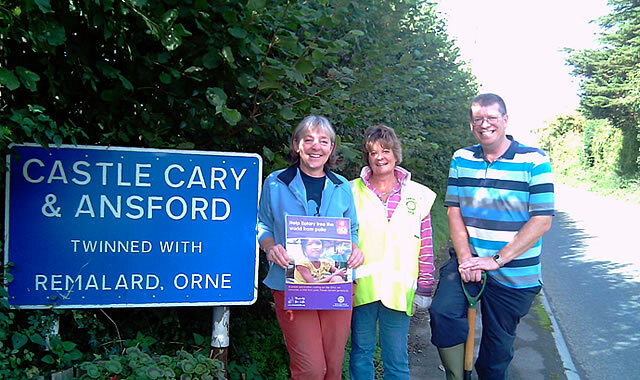 Brue Valley Rotary Club Plant Crocuses in Local Towns. You may have heard of FOCUS ON THE CROCUS - but what's it about? As we look to celebrate Rotary Day on 23rd February, 2011, it's a healthy, fun, community-based, environmentally friendly way to plant in everyone's mind the opportunity of being part of an historic worldwide campaign, spearheaded by Rotary International, to finally eradicate Polio across the world. The Ruby Giant 'purple' crocus represents the dye colour dabbed on children's little 'pinkie' finger to indicate they have been immunised against polio in the few remaining parts of the globe since Rotary International commenced its campaign in 1985. 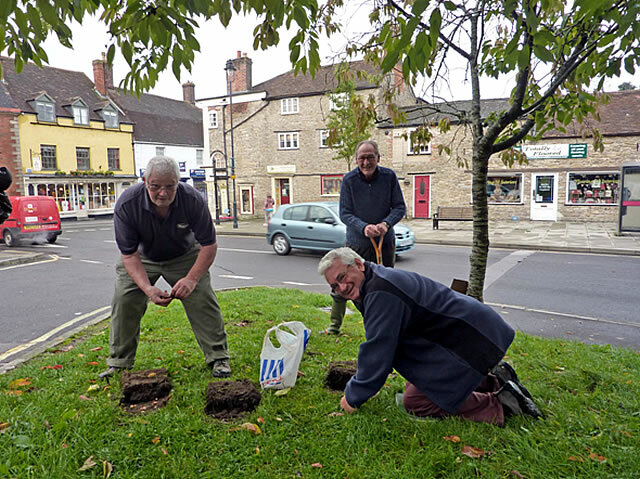 Crocus Corms have been planted in prominent places in Bruton, Castle Cary and Wincanton, so look out for them in February and remember the contributions made by Rotary International to eradicate this disease from the world. Anyone interested in joining the Brue Valley (provisional) Rotary Club should visit www.bruevalleyrotary.org or call 07767 488719.